Wind Damage, Asheville, NC | Off Duty Fireman Construction Inc.
'); // });Wind Damage, Asheville, NC | Off Duty Fireman Construction Inc. If a wind storm has damaged your home, call us for quality solutions. When severe weather hits the Asheville, North Carolina area, high winds can sound ominous, to say the least. Unfortunately, it isn’t the noise that’s the worst. If your home suffers wind damage from a downed tree, blown debris, or it took off part of your home’s roofing materials, call on us at Off Duty Fireman Construction Inc. We are equipped to restore your home, regardless of the extent of wind damage you have experienced. We believe it is hard enough to be a victim of wind damage without falling victim to less than quality restoration or a confusing, stressful experience dealing with those you’ve trusted to help. We have seen first-hand how a disaster affects lives and we started our company in 2001 to remedy the lack of compassion in this industry. One of the ways we make sure that your wind damage recovery goes smoothly is by not relying heavily on subcontractors. Our in-house crew of tradesmen are highly trained and are passionate about providing you with quality results and a pleasant experience. We are equipped to perform most every trade from conception to completion of your project and our North Carolina commercial and residential contractor state license gives us the necessary credentials to handle everything from the roof to the basement. 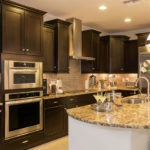 You can also turn to us for other renovations at your home, such as a new kitchen or bath, putting on an addition, and much more. Feel free to call us if you have suffered from wind damage or you would like to learn more about our other restoration services.